I had a lot of fun riding the trails at SMBA last night. Since we’re rapidly losing light for Blue Sky’s Thursday 6pm rides, they arranged for Light & Motion to demo some of their lights. I’ve ridden at night just one other time (last week), but I'm really enjoying how it changes the experience of mountain biking, focusing your concentration on what’s within the beam of light, and increasing the sensation of speed. The challenge goes up a notch, but the fun and adventure factor goes up two notches. And riding at night should enable me to extend my riding season right up to the start of ski season. The Whiteface Mountain Uphill Footrace might correctly be called a "niche" race, but as a skier, hiker, 46er and runner, it falls exactly in the niche that appeals to me. At 4,867 feet, Whiteface is the fifth highest peak in New York, and it is the only High Peak accessible by automobile, via the 5-mile long Whiteface Veterans Memorial Highway. Whiteface’s commanding position apart from the rest of the High Peaks, its ski area and Olympic heritage, its auto road, castle and summit observatory all contribute to a status that rivals Mount Marcy as the Adirondacks’ most significant peak. “This is a sacred place in the State of New York,” said North Elba Supervisor Roby Politi on Friday, during a meeting of state and local officials to discuss needed repairs to the highway. Thousands of bicyclists, runners and skiers (on snow and dry pavement) who have made human-powered ascents of Whiteface via the highway will no doubt agree with that assessment. With the upcoming Whiteface Mountain Uphill Footrace as my excuse for “needing” to run up a mountain, I did a quick trail run up Thomas Mountain on Sunday afternoon. Since we were already in Bolton Landing for the afternoon, the trailhead was only a few minutes’ drive away. Thomas Mountain might not be ideal for trail running: there are some steep sections, and the jeep road that I descended has quite a bit of loose rock. But since I only had a one-hour window for my run, convenience wins out. I make no pretensions about this being an unbiased review of author Jeremy Davis’s latest book. 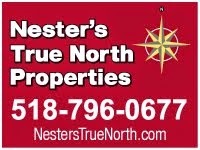 I’ve long been a fan of NELSAP (the New England Lost Ski Areas Project), the organization Davis founded in 1998 to document the history of closed ski areas, and consider Davis a personal friend. 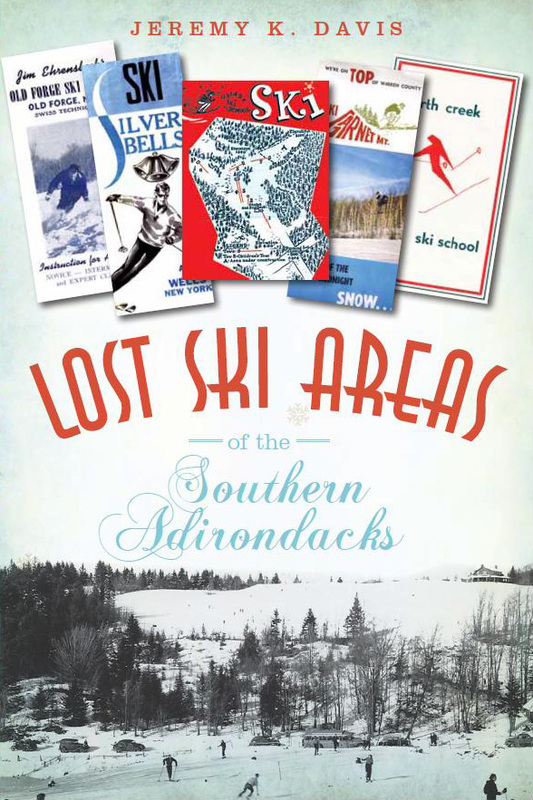 But if you have an interest in history, the Adirondacks or skiing – or all three – you will find Lost Ski Areas of the Southern Adirondacks to be a fascinating read. Like Davis’s two previous books (covering the Southern Vermont and White Mountains regions, respectively), Lost Ski Areas of the Southern Adirondacks methodically details the history of nearly 40 ski areas that once operated in the region. More than just a collection of dates, facts, figures and photographs, Davis’s book chronicles the stories of the people who were involved in and enjoyed these ski areas: the founders, employees, instructors, ski patrol and the skiers themselves. Following are some upcoming races that may be of interest to local runners. 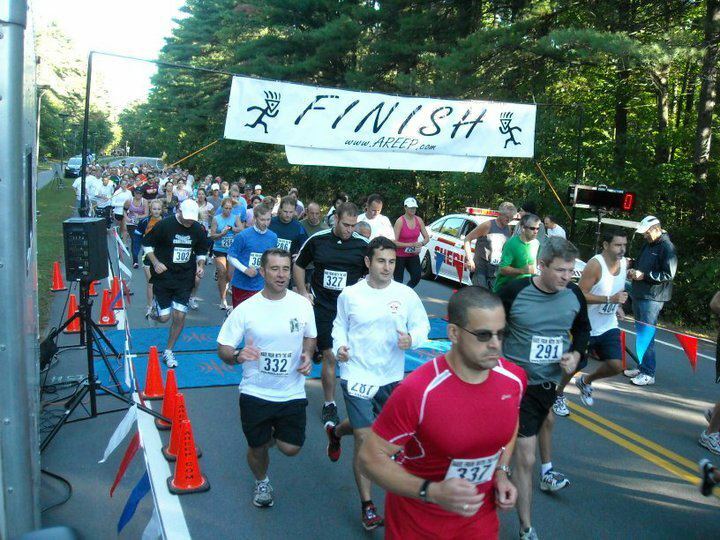 The third annual Malta Business & Professional Association 5K, Saturday 9/08/2012, will benefit the Saratoga Rural Preservation Council and Town of Malta First Responders. The race course follows a new route this year, making a circuit of bike paths and roads through Luther Forest that will offer participants an opportunity to view the new Global Foundries chip fab plant up close. I don't run a lot of road 5Ks, but I'm running this one looking for a sub-20 minute finish, so hopefully the new course is flat and fast. 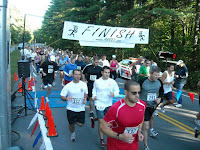 Also on Saturday, 9/08/2012, the Camp Challenge 5K Run, will benefit Double H Ranch’s programs serving children with life-threatening illnesses and their families. The race course is on trails at Double H’s camp facility in Lake Luzerne. A Camp Challenge Ride will also be held on the same day, with cyclists riding 15 miles, 30 miles or a Metric Century through the Adirondacks to help raise awareness and funds for Double H.
The Moreau Lake 15k Trail Run will be held Sunday 9/09/2012, on the trails at Moreau Lake State Park. The race is billed as “a classic trail run: a brutal start up the ‘Staircase of Death’ leads into miles of rollers, creeks, etc. before heading back down the ridge to the beach.” Sounds like my kind of race, but I'll have to put it on my calendar for next year. An aquathlon (1.5k swim, 5k trail run) as well as 1.5k and 3k open water swims are also scheduled for the same day.